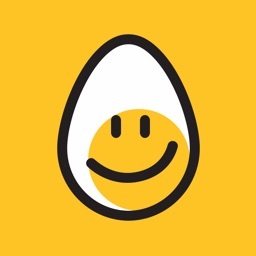 - Selected as App Store "Staff Favorite" in USA, UK, Austria and Switzerland. - Mentioned in german newsmagazine DER SPIEGEL (45/2009) and manager-magazine. 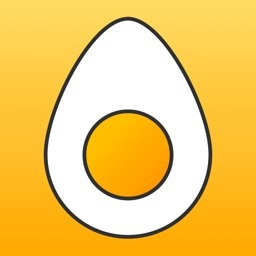 The perfect egg timer with the incredible egg spy: from now on your eggs will be perfect. 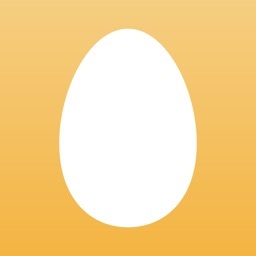 Are you tired of eggs that are always too soft or to hard? 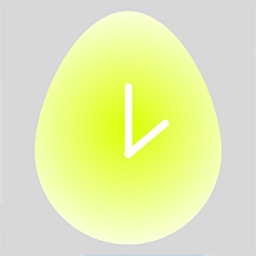 No matter where you are or how big your egg is - the perfect egg timer for perfect eggs is the solution! 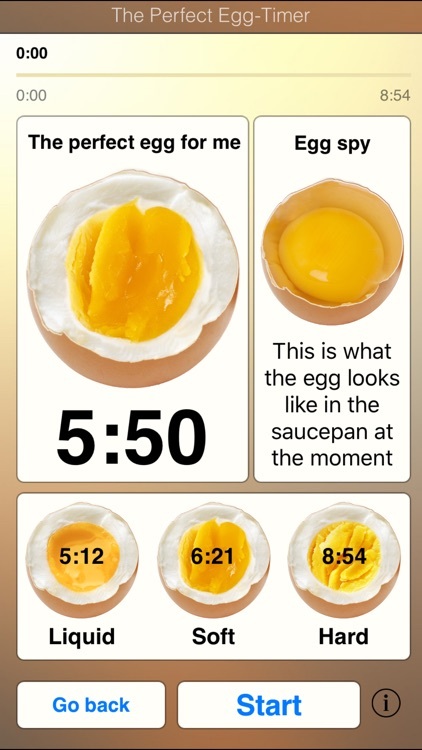 The perfect egg-timer is based on scientific proof and because every egg is different, the timer calculates the exact cooking time based on egg size, altitude and temperature. 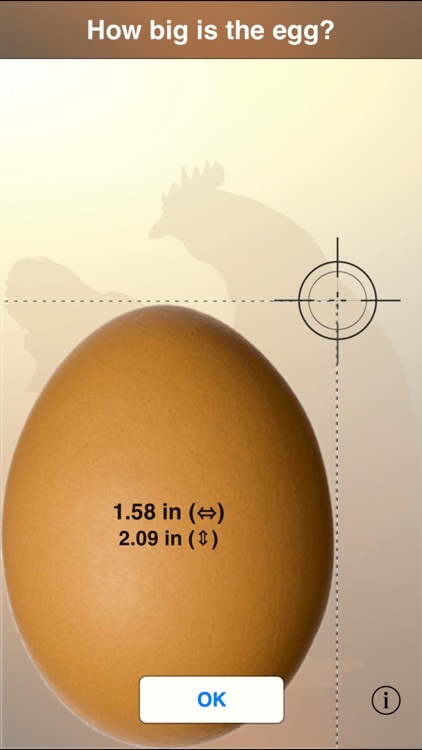 Usage: In order to measure the exact size of your egg, simply place it on your iPhone and set the size using your fingertip for. 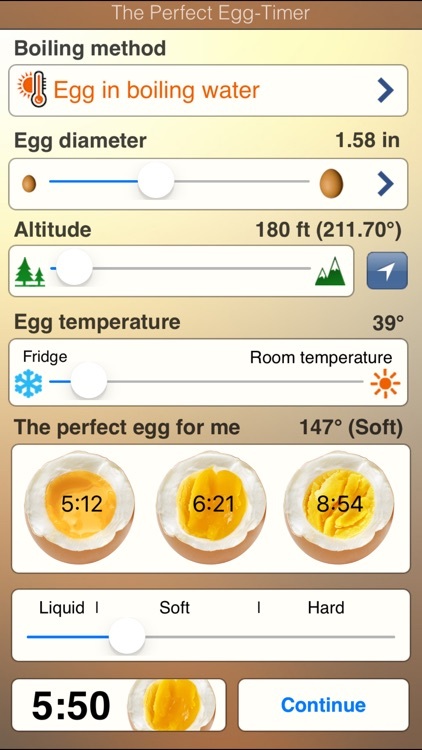 Determine your current altitude (or let it be determined by GPS), tell your iPhone if you kept your eggs in the freezer or at room temperature and how you would like to have your eggs – soft-boiled, hard-boiled or something in-between. 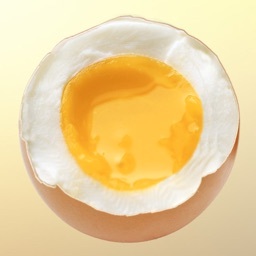 Place your eggs in a single layer in a saucepan. 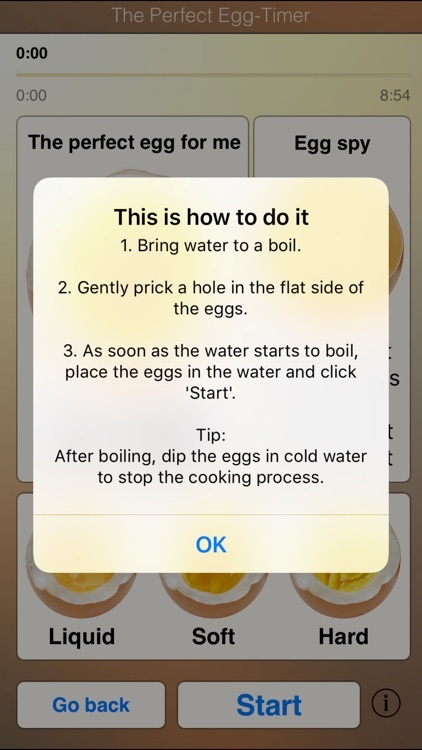 Add enough cold water to just cover the eggs. Bring them to a rapid boil over high heat and start the countdown. 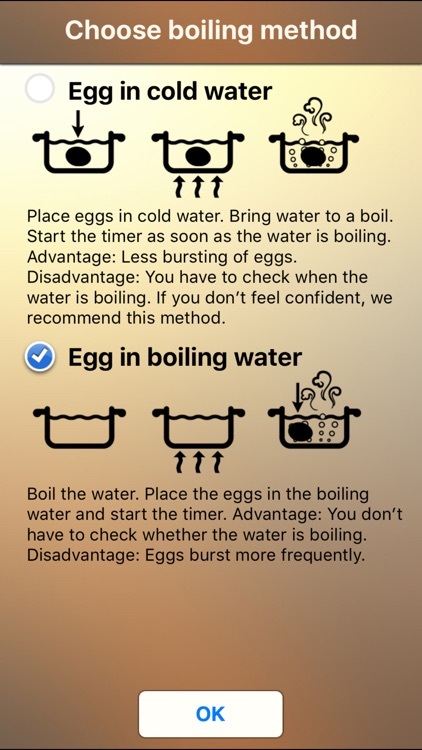 The iPhone will signal when the eggs are done. The attraction: The egg spy lets you see the changes inside your boiling egg! 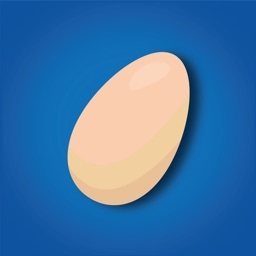 - Egg-size can be adjusted to the nearest millimetre (inch): Simply place the egg on the iPhone scale and set the size with your fingertip. It doesn’t get any more accurate than this. - Automatic change of measurement units between inch or millimeter and fahrenheit or celsisu, depending on language and international settings. - determine and enter your altitude manually or let it be determined by GPS automatically.